Last year I found out that one of my daughter’s favorite cookies are oatmeal raisin chocolate chip cookies. I found a recipe to try. They were really good, so good that I did a blog post about them. This new recipe is even better and has become a favorite cookie to have in the freezer. It makes a lot of cookies so there are plenty for the cookie jar and for the freezer. There are several differences in this recipe. 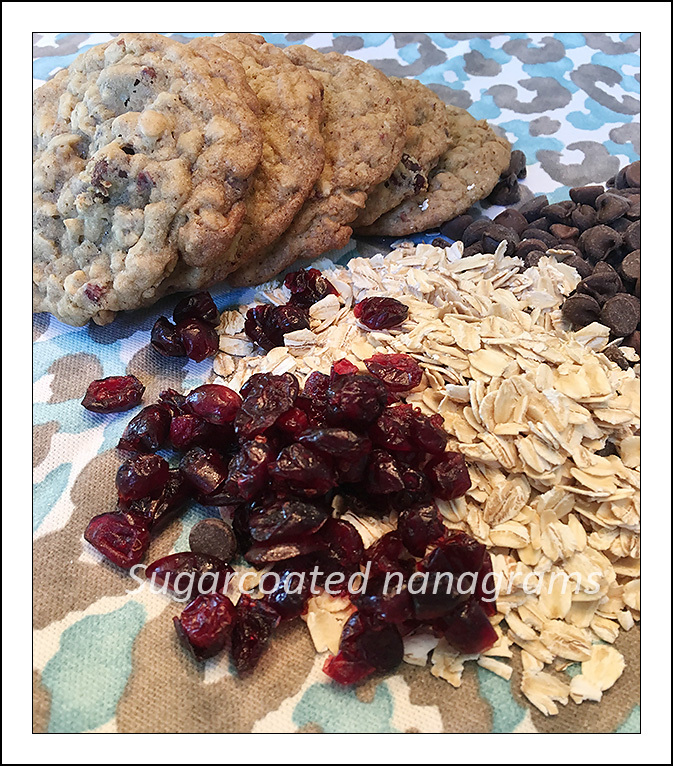 The day I wanted to make some oatmeal cookies I found I was out of raisins so I substituted dried cranberries. I also decided to use dark chocolate chips instead of semi-sweet chocolate chips because I thought the combination of cranberries and dark chocolate would be a good one. I was right! The end result was a really yummy cookie that has become a favorite. 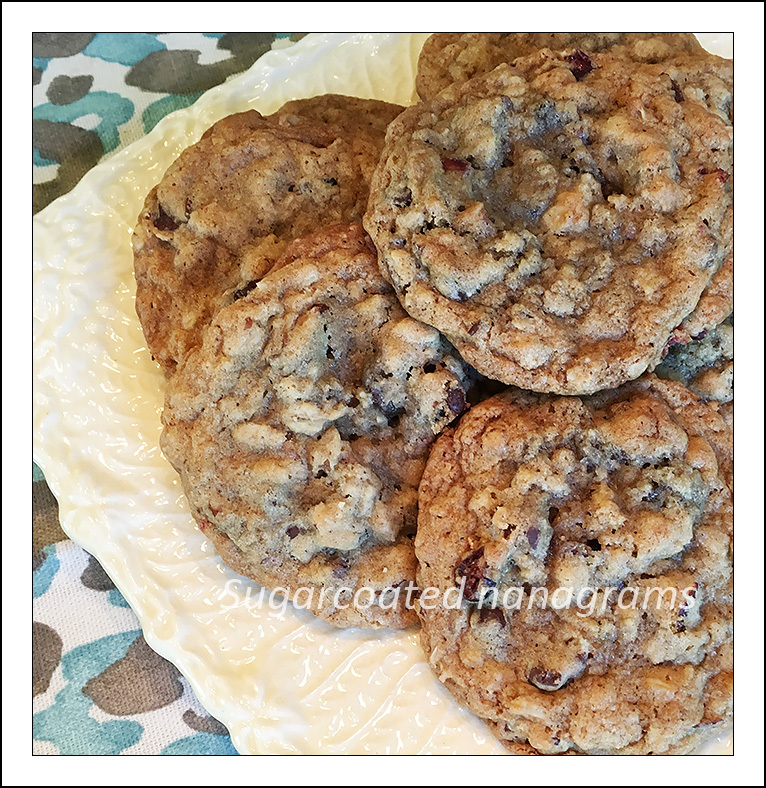 The big difference between this recipe and most other oatmeal cookies is the first step which is to soak the cranberries in the beaten eggs for an hour. It is an important step and one you shouldn’t skip. It makes the cookies really moist and chewy. I hope you enjoy these as much as we all do. Let me know what you think! Drop by heaping teaspoons (I use a small ice cream scoop) onto ungreased cookie sheet, or roll into balls and flatten slightly. Bake at 350 degrees for 10 to 12 minutes or until lightly browned around the edges. Do not overbake. The cookies won't look done in the center but will continue to cook when out of the oven. Let cool for a few minutes on the cookie sheet before moving to a cooling rack. YUMMY!!! These sound delicious! I am going to try them!! Excellent! I hope you love them too!! They look delicious! Can’t wait to try baking them!